Purple Poppy Event Organizer Company Offer you all quality services at affordable prices. Our services include Destination Wedding Planning and Corporate Event Management, Event planner, Wedding reception planning, fashion shows, dance shows, Parties, marriage parties, party supplies, birthday organizers Jaipur, birthday party organizer, child birthday party planning and more. 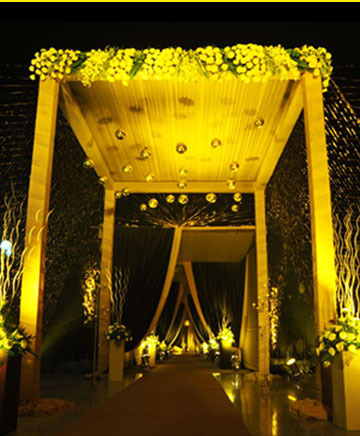 Call Us - +91-992810068" Wedding is an event where two families meet, they unite and they all follow the line of rituals and celebrations – to give the couple an Event of Lifetime. We, the Purple poppy work to make your event special and our team beautifully crafts, plans with a personalize touch at each moment of love and joy. What differentiates us from various other wedding agencies on the market is that our in-house team of wedding coordinators will work hand in hand with you. We realize that the ideal wedding event is always different for every couple and will work together with you to realize that vision. We can alter and customize the theme of the wedding to fit whatever it is that the couple desires.